This project was a fast and furious Wordpress implementation. The previous website had been hacked and was continually shut down by the hosting provider. To save the site we migrated the site to a new hosting provider (GoDaddy), and replaced the compromised theme with a new secure theme. Then we locked it down with every security measure imaginable. Good times. Even during the crazy of rescuing this website, an effort to emphasize a more consistent brand image was made. 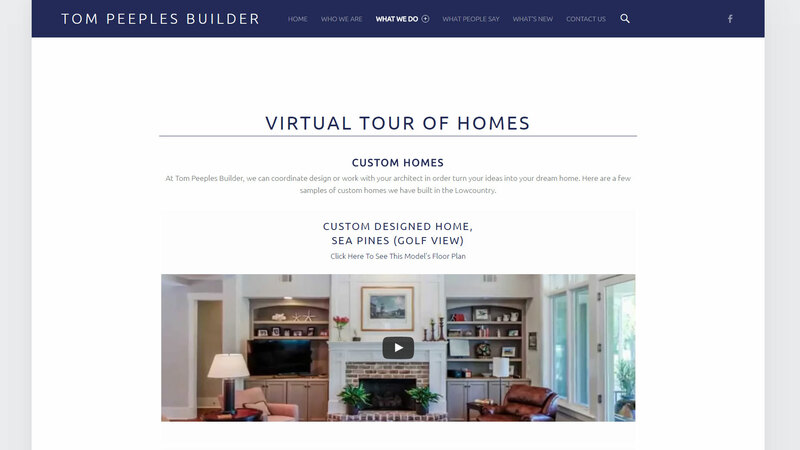 This meant making sure that the design emulated both the company's logo as well as designing a site that matched the quality and professionalism of a top notch construction team. Clean backgrounds, sharp lines, and a simple user experience was used to communicate the company's mission of making building a pleasure. 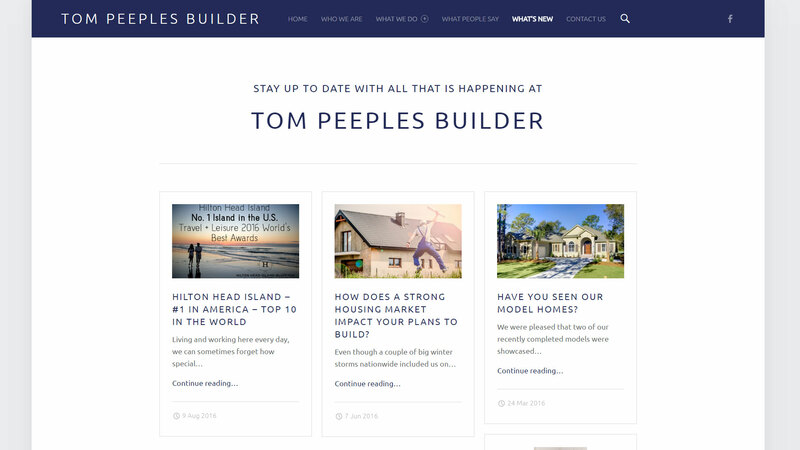 Tom Peeples Builder places significant emphasis on their email marketing campaign, so it was important to incorporate their newsletters into the site as blog posts. The simple cards offered a clean and powerful way to quickly grab the user's attention and draw them in. 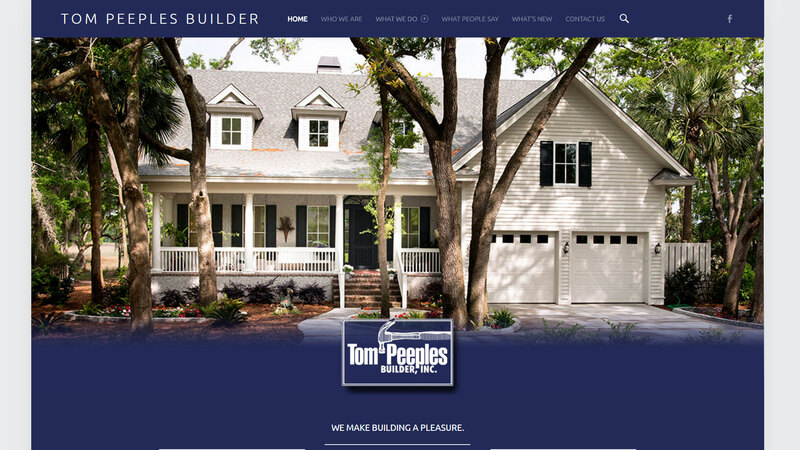 Tom Peeples also spends a lot of time creating video tours of their homes. Finding a way to simply display the videos without cluttering the page was a bit of a challenge. The long scroll and banner style windows allowed each video to stand on its own while inviting users to explore all of the options available. 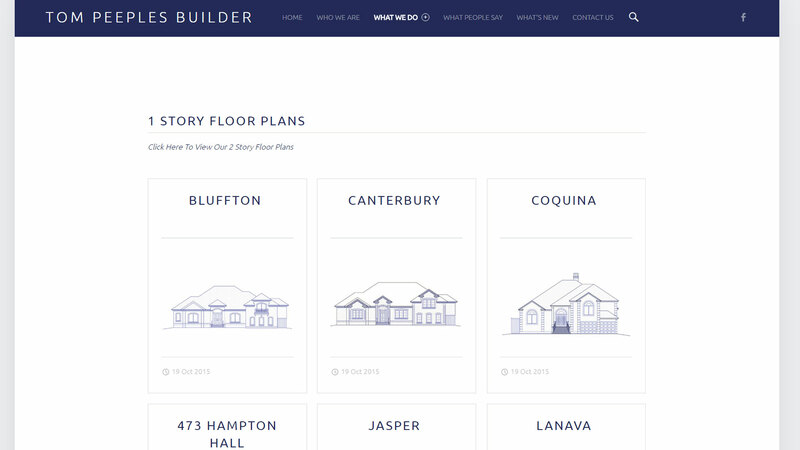 The floors plans page built upon the look and feel of the blog post cards from the home page. Here, each card offered a glimpse of the blueprint elevations available for each model.